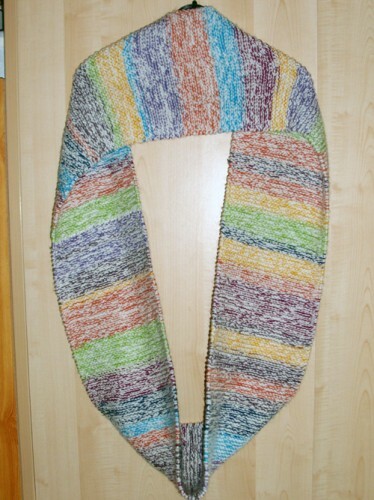 This was meant to be my first knitting project, but thanks to my brother this became the second instead. 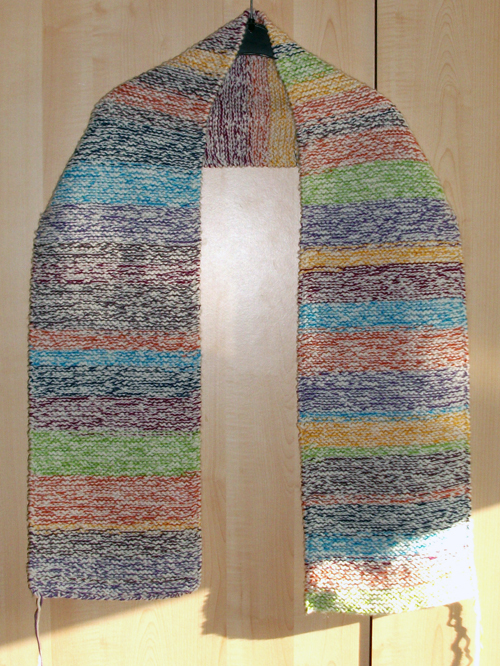 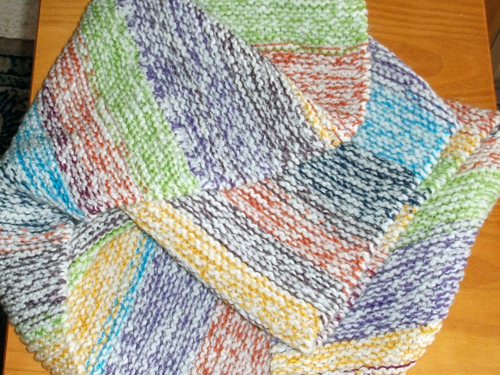 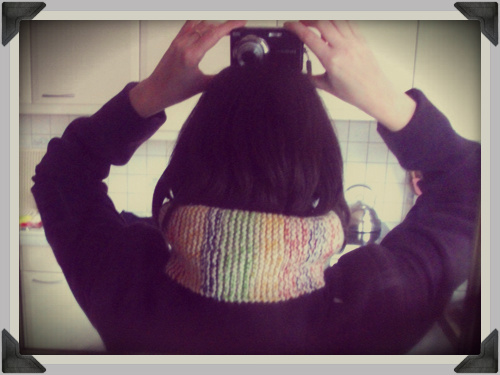 485 rows and 8 colours in a random stripe-pattern became a scarf of 1m60. 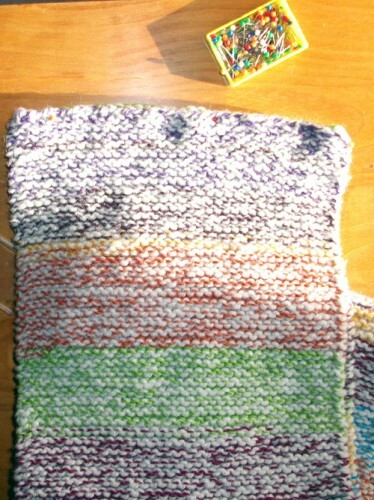 The pattern by the purl bee was meant for a cowl, but when I started it I wanted a regular scarf. But now that my project was coming to an end, I eventually decided to turn the scarf into a cowl, by simply sewing the two ends together. At that point the cowl felt rather stiff, but after washing and tumble drying it, it became soft and wearable. And this is the end-result.